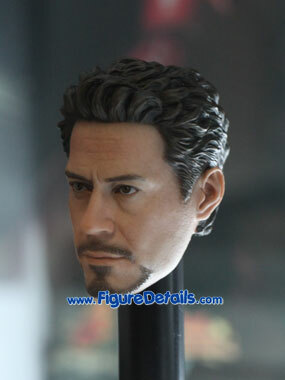 - Highly detailed alternate head sculpt of Robert Downey Jr. as Tony Stark in the movie Iron Man 2. 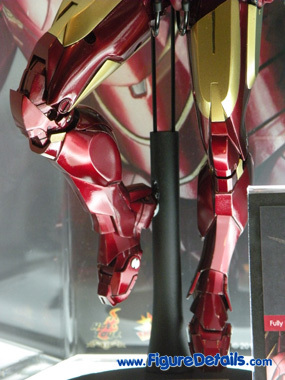 - Newly developed Iron Man Mark 4 arms. 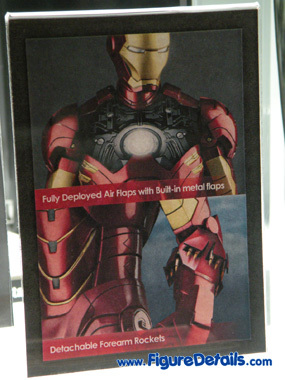 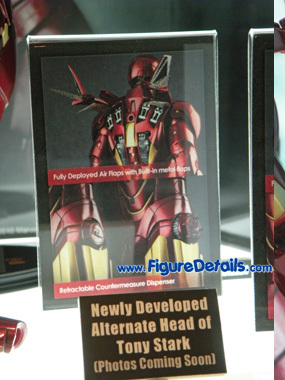 - Improved articulations on Iron Man Mark 4 waist armor which allow flexible movement. 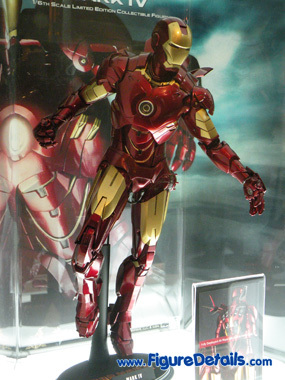 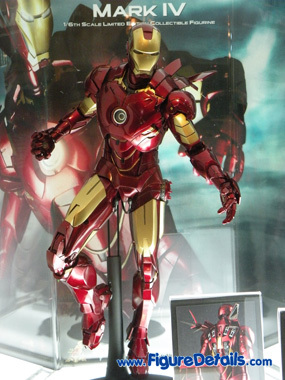 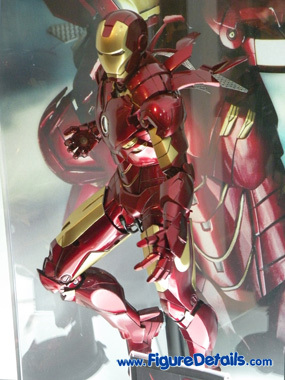 Here I show you the Iron Man Mark 4 action figure that is now displaying in Hot Toys store. 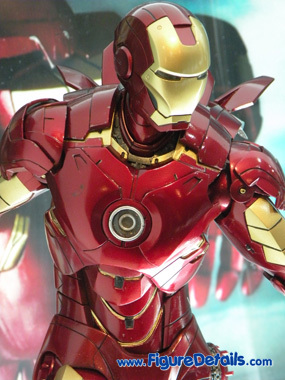 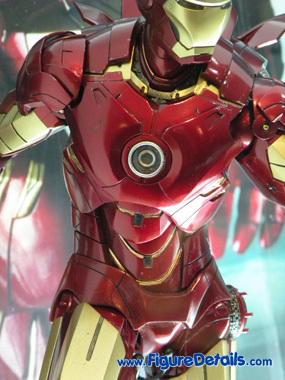 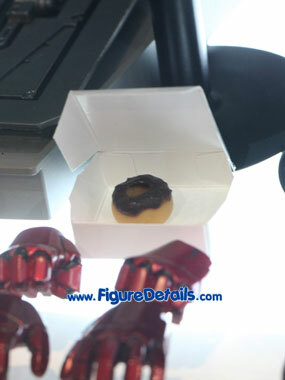 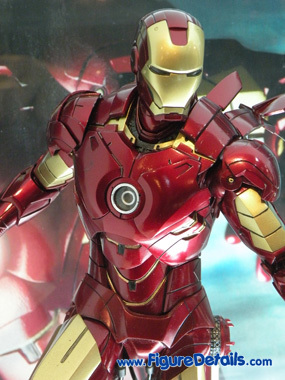 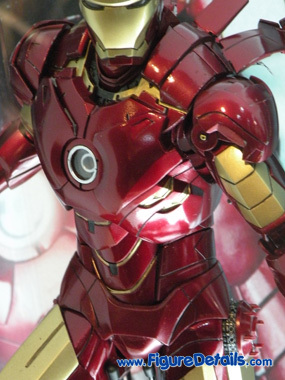 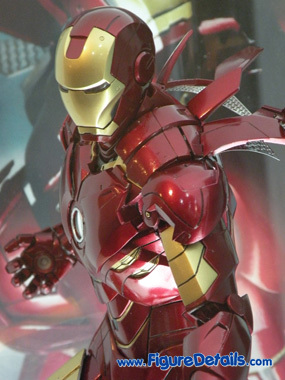 Show you some close up photos of Hot Toys Iron man Mark 4 action figure. 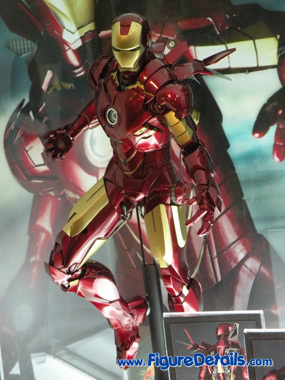 You can see the details of the Iron Man new armor. 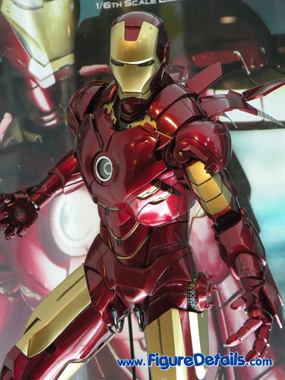 This time Hot Toys makes a great improvement on waist armor design which allows better movement. 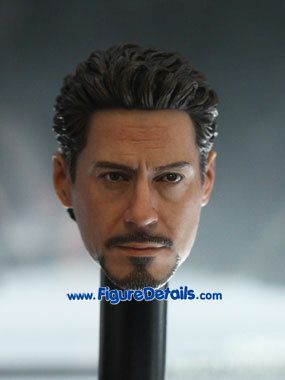 Also, Hot Toys adjusts the color as well, looks better. 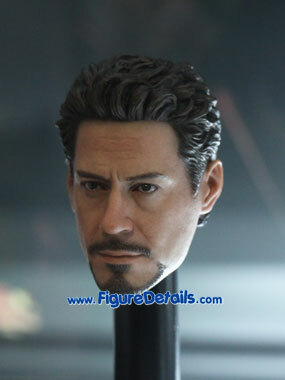 After few months waiting, the head sculpt of Tony Stark finally comes out. 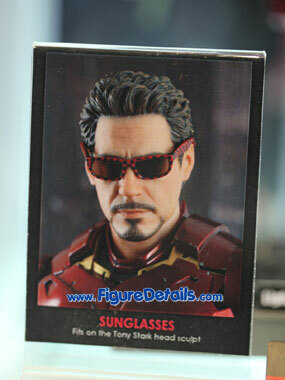 It also comes with sun glasses, and a donut. 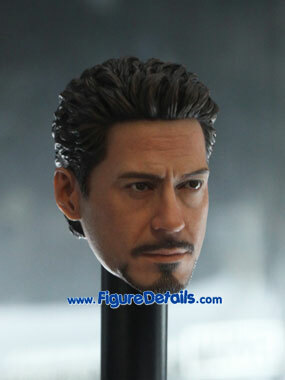 I do think this is the best Tony Stark head sculpt so far.